Technology has reached new heights at every turn and that is also true now with the mortgage lending process. 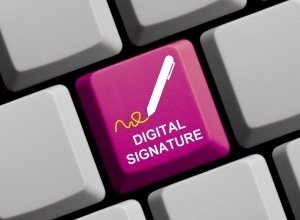 Many lending institutions are now making it possible to obtain remortgage online with a digital signature. What was available to make the entire process quicker is now making it even more accessible in the comfort of our homes. A diverse group of lenders is now involved in the process and that is making the art of remortgage open to even more borrowers. Remortgage has officially reached the digital age. Many lenders have engaged in the process of digital signatures on a variety of loans, and now one more type of lending can be added to the list. Online lending has reached new levels of convenience and remortgage is a part of the move forward. Obtaining a remortgage online is not a new concept. It has now been around for years and multiple lenders are part of the revolution. House owners are finding the process more streamlined than ever before and overall process time to approval is shorter than ever. Shopping online has many advantages the least of which is saving time by having the ability to compare and contrast what is available immediately and without spending time on foot. Another advantage worth considering is having the ability to make an informed decision without the stress of making it in an office or waiting room. Digitally signing a remortgage can now be done with many lenders and is considered mainstream. Housing experts see this advancement as beneficial to both lenders and borrowers looking to save time through the remortgage process.